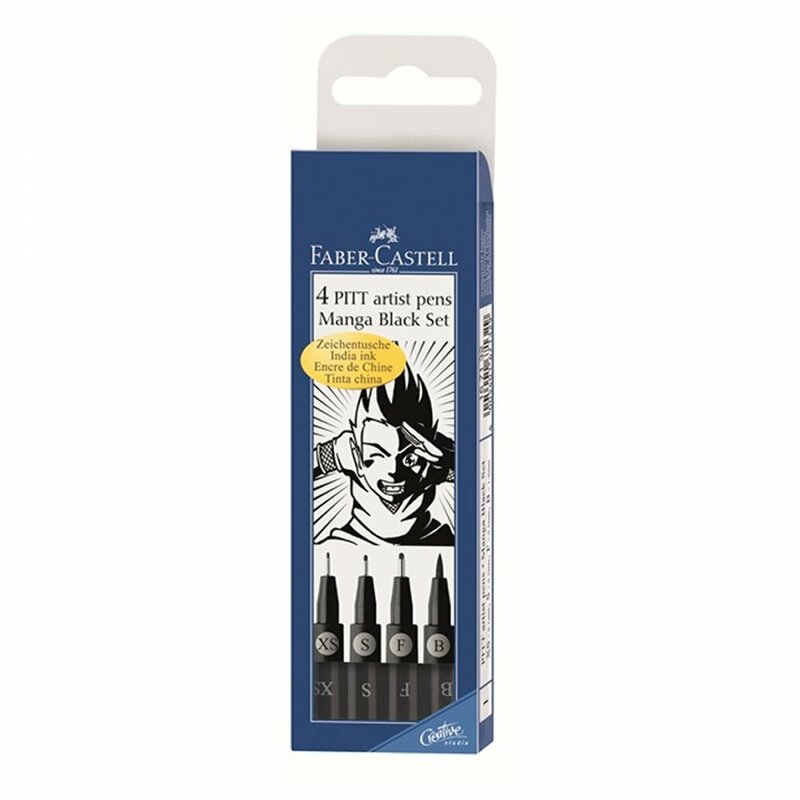 A wallet of 4 pens specially selected for 'Manga' style drawing. These Pitt artist pens are suitable for sketches, studies and ink drawings. Highly light-fast, waterproof drawing free-free.